Show your business off to it's fullest potential with Sharp Admin. With it's dynamic menu and clean practicality, Sharp Admin will enable your business to reach new heights in respect and admiration for it's go-ahead, innovative and intelligent design. Whatever device your customer uses to see your content - your business with shine! 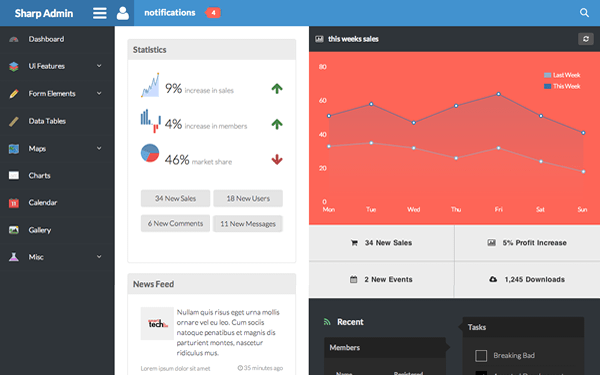 Item Reviewed: Sharp Admin ~ Responsive Admin Template 9 out of 10 based on 10 ratings. 9 user reviews.